I hope this post finds you all well on a nice and lazy Sunday morning (at least over here in Chicago). What’s going on with all of you? Have you stopped by our Facebook Group yet? So many things have been happening over there since we last checked in on this blog. We’re actually doing a Re-Read and our discussions are up to Chapter Ten. 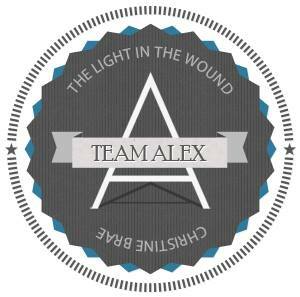 There are still new members filtering every day, our team never fails to ask them to choose which side they’re on – so far there still more Team Alex members than they are Team Jesse, but the Jesse side of the fence is strong enough to rebut every argument there is about how he changed throughout the course of the story. Book Two is coming together well, and I hope to be able to send it our to my Beta readers by the middle of October. I want this in your hands before Christmas, so for now, that’s the goal that I’m working furiously to meet. We finished a blog tour this week and reviews are posted daily on my author page – https://www.facebook.com/pages/Christine-Brae/251960864949578. I am also very excited to be the Indie Author of the Week at Indie Author News. I just completed an interview with them that will be posted on their site on September 26. Please visit them at http://www.indieauthornews.com/ when you have the time. Until the next entry, please know that I so appreciate all of the time and attention that you, the readers and bloggers have given to reading, writing about and reviewing my little book. I never ever imagined that Isabel’s story would touch the hearts of so many of you and I will never cease to be humbled by it all. Last but not least, let me leave you with something that Orchita Rahman from If the Book Fits made for all the Alex lovers out there. Stay tuned for Book Two teasers and more information coming soon!